During the Manitoba land boom of the late l870s and early l880s settlers from Ontario were attracted to the Beautiful Plains area. The Town of Neepawa was incorporated in l883 and became the county seat the following year. The County Court Building was erected in l884 to house the court and gaol as well as town and municipal offices. The county comprised four municipalities—Glendale, Lansdowne, Osprey and Rosedale. The local municipalities continued to use the building after the county system ceased to exist in l890. 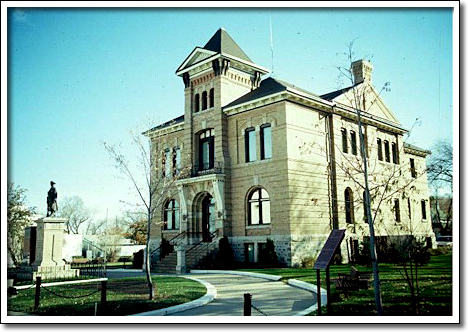 This building was designed by C. Osborn Wickenden, who was also the architect of the court houses in Brandon and Winnipeg. The Neepawa and Brandon buildings are the oldest surviving court houses on the Prairies. Local citizens were responsible for preserving this building which is still in public use.